- Revitalise Mind, Body and Spirit! 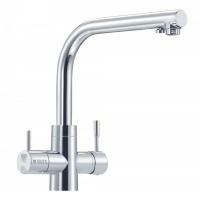 With the Grey Line Range, we just wanted to make the most affordable highest level water quality system. It's all about the quality of the components used in manufacturing. The system is a considerable step up from the lower priced models flooding the market which retail from between £80-100 but use cheap plastics and inferior seals. 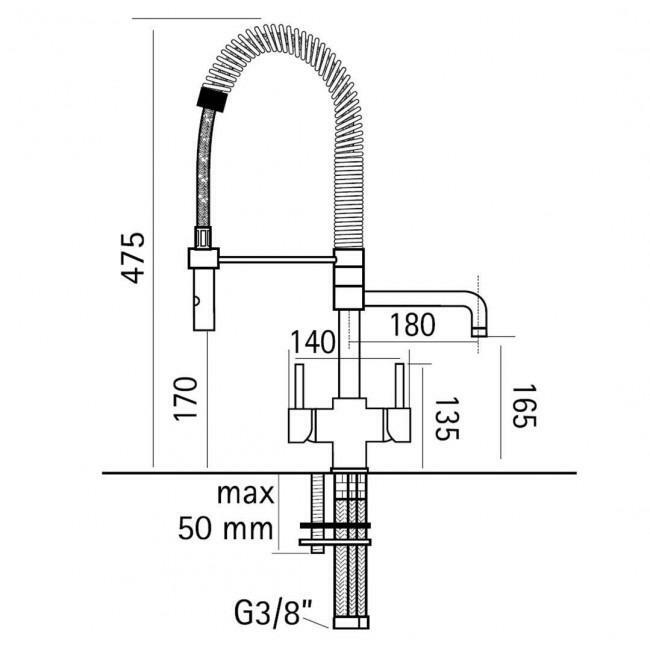 With the Grey Line range you can be sure of the best quality major components such as the tap, DOW Filmtec Sheets in our membrane, double o-ring housings, thick and robust NSF certified material components made in Taiwan to some of the most exacting quality manufacturing standards in the world. 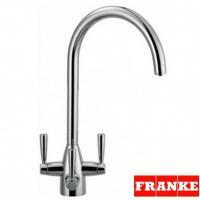 We have also included antibacterial pre-filtration, equipped with Nano Zinc powder for antibacterial effects. This prevents bio-film buildup on the membrane sheet surface which can lead to fouling. 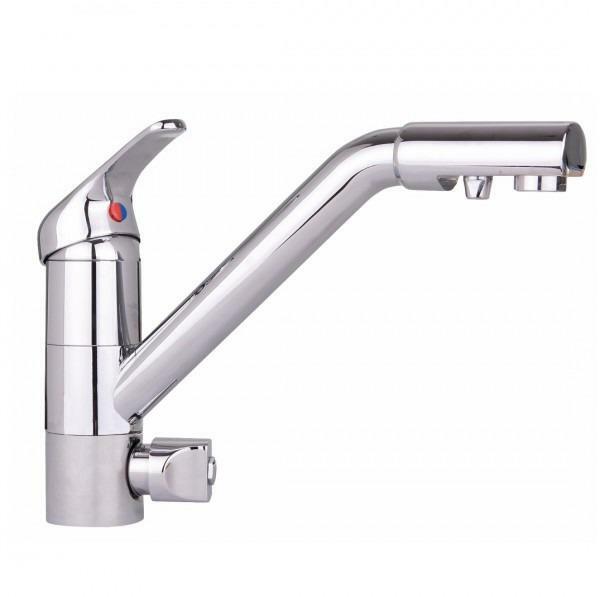 This all contributes to a more sanitary and reliable system that is designed to overcome the problems we typically find with lower priced RO systems, especially where most of the components are made the cheapest way possible and better measures are not in place to keep the system sanitary. Each system is individually assembled, pressure tested and inspected to our quality standards. 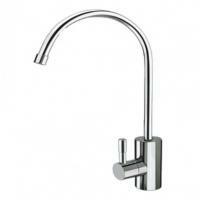 You can use the system with a standalone high quality euro-design tap or with any of our 3 way tap options. • Under counter mounted water filtration system for ease of use. 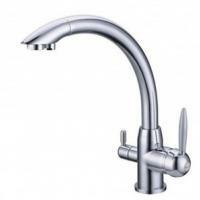 • Removes up to 99% of over 1,000 contaminants including: lead, chlorine, fluoride, arsenic, heavy metals, asbestos, hardness, sodium, microorganisms and much more. 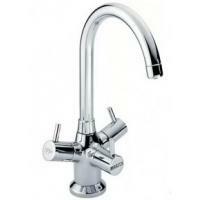 • Experience clean, high quality drinking water every time you turn on the tap and crystal clear ice, scum-free tea and coffee. • Premium packaged filters with 6-12 months filter lifetime. High quality components with NSF certification. 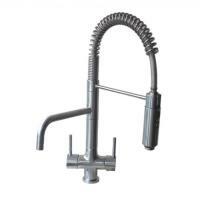 • Easy installation and maintenance with Plug & Play parts. • 10 litre total capacity tank (6 litres ready for instantaneous use). • Backed by 2-year Osmio Warranty with lifetime support. 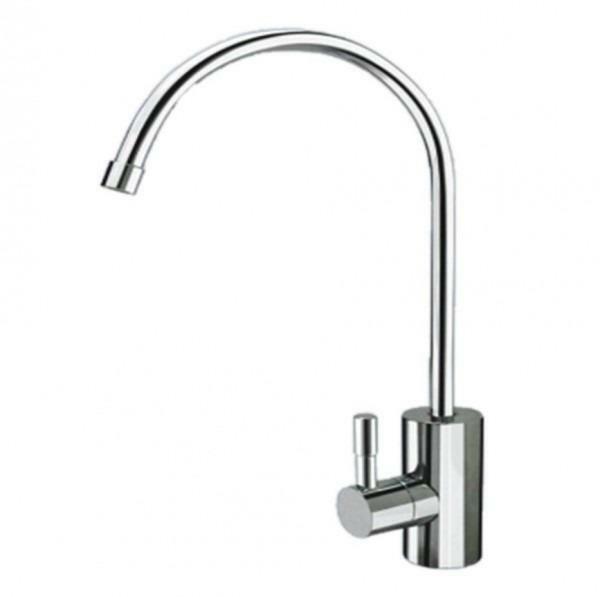 Which type of tap is right for you? 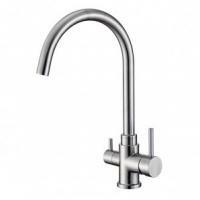 The system comes supplied with a high quality single dispensing tap which can be fitted to a sink or worktop by drilling a hole and fixing on the underside. As pictured above Osmio have a wide range of elegant 3 way taps so you can enjoy your filtered water with a single integrated solution for your cold and hot unfiltered water. Click here to browse our range. 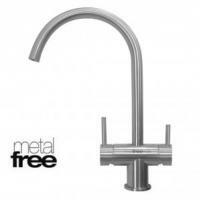 If you place an order for the system and any of our 3 way taps you will be supplied free of charge any connecting parts required. 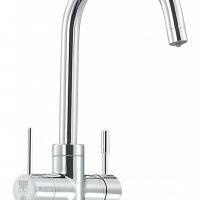 You will still receive the single dispensing tap as it comes as part of the kit. 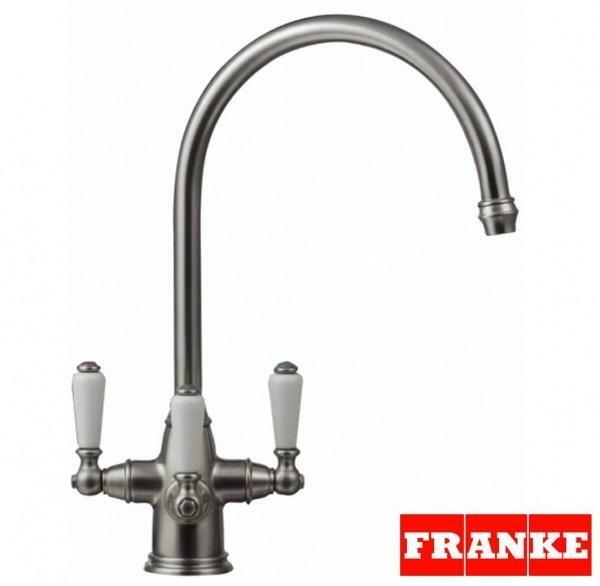 The system comes with an installation ready kit except for a handful of standard DIY tools and can be installed by a competent DIYer or plumber. This normally takes between 30-60 minutes to install. 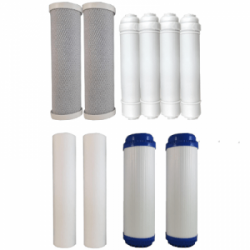 In order to make the running costs efficient we sell the filters in bundle packs and the reverse osmosis membrane separately as this has a longer life. After ordering the system you will receive scheduled reminders to change the filters via text message and email. 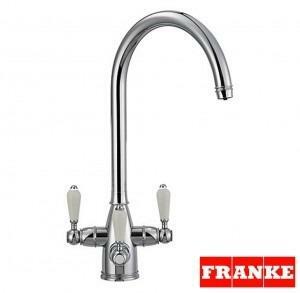 The message will contain a link to the replacement set which you can reorder with next working day delivery if you require replacement filters. 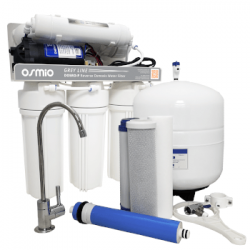 This Osmio Reverse Osmosis System uses high performance pre-filters. 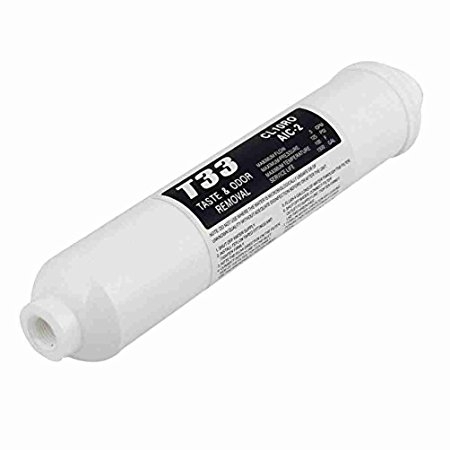 Although the pre-filters used in this system are fully efficient in removing chlorine and sediment, they do much more. 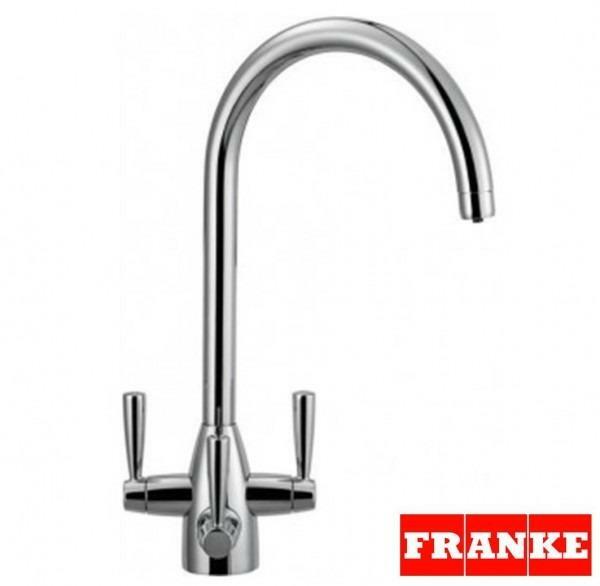 - First, the pre-filters for this system will remove sediment down to 0.5 microns which will more thoroughly protect the RO membrane. - Second, the pre-filters use coconut shell powder carbon instead of granule or block carbon (used in traditional systems) which has up to 10 million times more surface area for greater absorption rates and much longer lifetime. - Third, the pre-filters in this system are also designed to reduce heavy metals such as iron, manganese and rust which can also damage the RO membrane. Membrane filter lifetime is higher in low scale areas and lower in high scale areas. It should be changed when purified water at the membrane filter exit exceeds 50 PPM (NB - the system includes two mineral filters see below which add TDS levels of lost minerals). 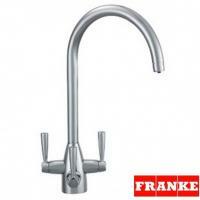 Reverse Osmosis is the most advanced technology of water purification in use today. 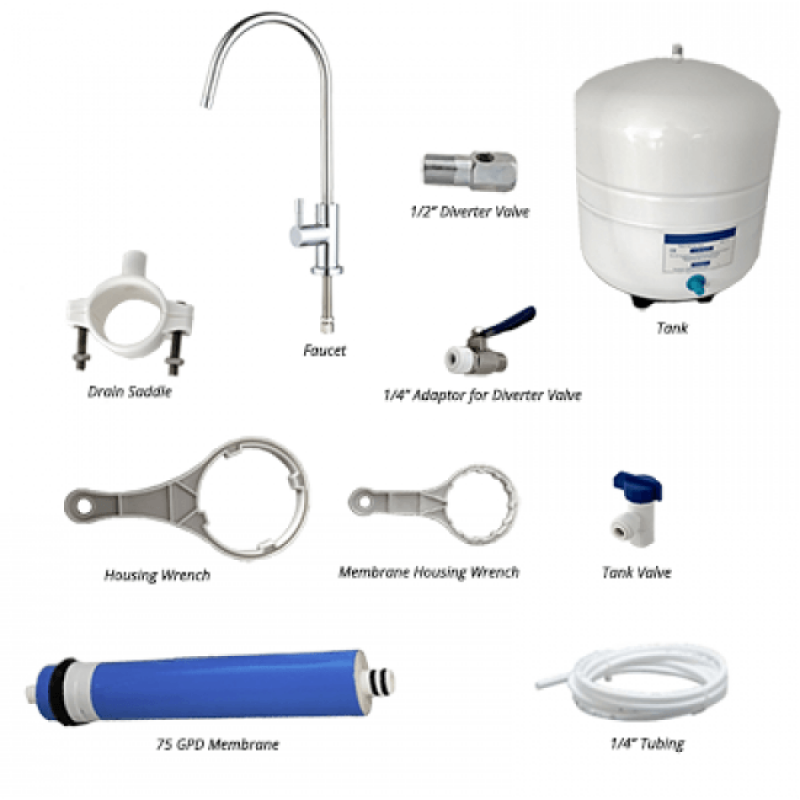 The technique uses a nanotechnology enabled semipermeable membrane which can reduce or remove most harmful impurities found in tap and well water including: microorganisms, nitrates, heavy metals, fluoride, insecticides and much more. Our Grey Line Range uses the industry leading, USA made, DOW Filmtec Membranes for solid reliability and performance. The double o-ring housings ensure no leaking problems, filters and pump and other components are made in Taiwan with top end manufacturing quality with NSF certification. The table below lists the performance of specific contaminants. This is only a partial list of the virtually hundreds of thousands of contaminants that Reverse Osmosis can filter. Aluminium 97-98% Nickel 97-99% Ammonium 85-95% Nitrate 93-96% Arsenic 94-96% Phosphate 99+% Bacteria 99+% Polyphosphate 98-99% Bicarbonate 95-96% Potassium 92% Boron 50-70% Pyrogen 99+% Bromide 93-96% Radioactivity 95-98% Cadmium 96-98% Radium 97% Calcium 96-98% Selenium 97% Chloride 94-95% Silica 85-90% Chromate 90-98% Silicate 95-97% Chromium 96-98% Silver 95-97% Copper 97-99% Sodium 92-98% Cyanide 90-95% Sulphate 99+% Ferrocyanide 98-99% Sulphite 96-98% Fluoride 94-96% Zinc 98-99% Iron 98-99% Lead 96-98% Insecticides 97% Magnesium 96-98% Detergents 97% Manganese 96-98% Herbicides 97% Mercury 96-98% Virus 99+% TDS (Total Dissolved Solids) 95-99% Hardness 93-97% Estimated Reverse Osmosis Rejection Percentages * Figures given above are estimates of normal performance, under normal conditions and water. 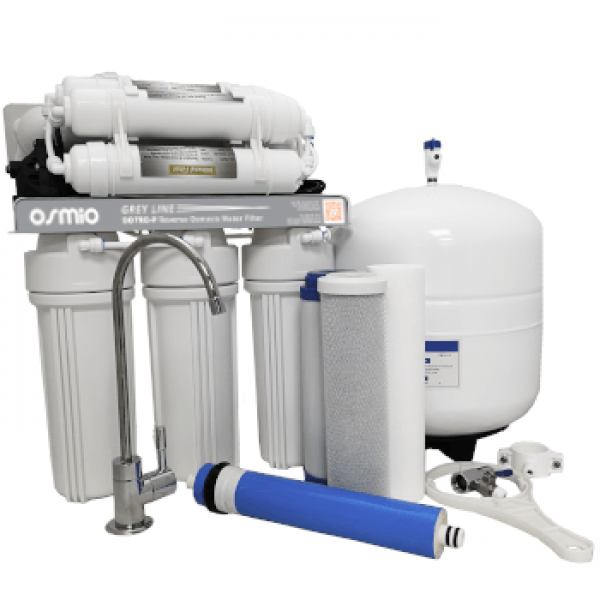 At the heart of every Reverse Osmosis system is the membrane filter. The membrane filter consists of microporous, semipermeable membrane sheets. The average pore sizes on the RO membrane is in the range of 0.0005 mm (0.5 nanometres). The membrane filter has one water inlet and two exits. The feed water first travels through the pre-filters and then to the membrane filter. 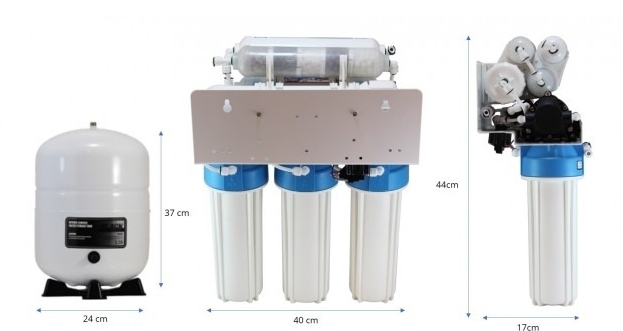 At the exit of the membrane filter one of the ports is the rejected waste water which is connected to the drain, while the other port is the purified water which is plumbed to the post-filters. 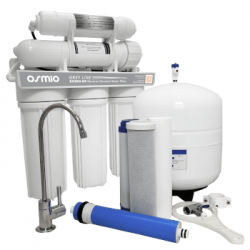 Osmio Grey Line Reverse Osmosis membranes are made of the highest quality Thin Film Composite (TFC) polyamide and are designed to remove a wide variety of both aesthetic and health related contaminants. 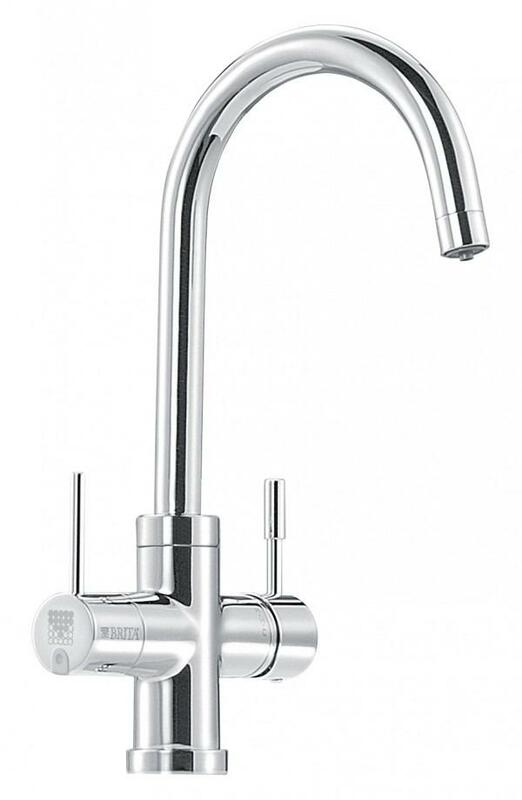 You can use our Digital TDS Meter (sold separately) to test a glass of water and compare to your unfiltered tap water to see the TDS reduction. 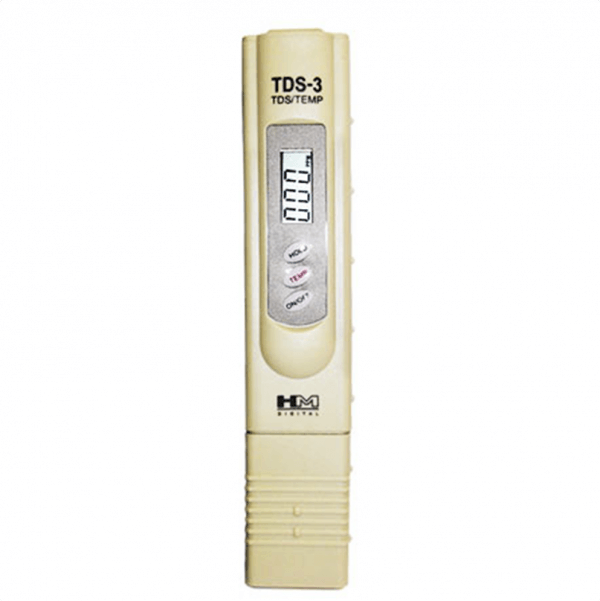 With a TDS meter you can establish more accurately when to change the membrane filter and have a good tool to check your water quality frequently. We recommend membranes are changed no longer than every 3 years or when the TDS reaches over 50ppm. The Grey Line Post Filter is an NSF Certified Activated Granular Coconut Shell Carbon: NSF. This coconut shell carbon that acts as a final polisher and mineralizer. Detox Filter (Anti-Toxin): The detox filter is composed of active ceramic taormine balls which form a 2 micrometre wavelength electro-magnetic field (far infrared-red ray - FIR) along the water passageway. Water molecules also have a natural oscillation frequency of 2 micrometres. As the water passes through the filter, the FIR field will help in breaking up the water molecules (which are usually clumped together) into smaller pieces. This will help in maintaining a healthy body metabolism rate. 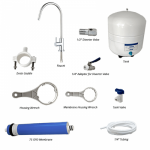 Alkaline Filter (Higher pH): The alkaline filter uses 100% naturally occurring minerals like magnesium, sodium and potassium to increase the water pH to an alkaline level. The minerals will mix into the water as healthy cations and anions. The specially selected minerals can increase the water pH levels to 7.3 – 8.0 depending on feed water conditions. While the ideal pH level of drinking water should be between 6-8.5, the human body maintains pH equilibrium on a constant basis and will not be affected by water consumption. For example, our stomachs have a naturally low pH level of 2 which is a beneficial acidity that helps us with food digestion. Resultant pH levels vary according to the level of Carbon Dioxide and other acids in the feed water. The post filters can not guarantee pH values for any period of time. 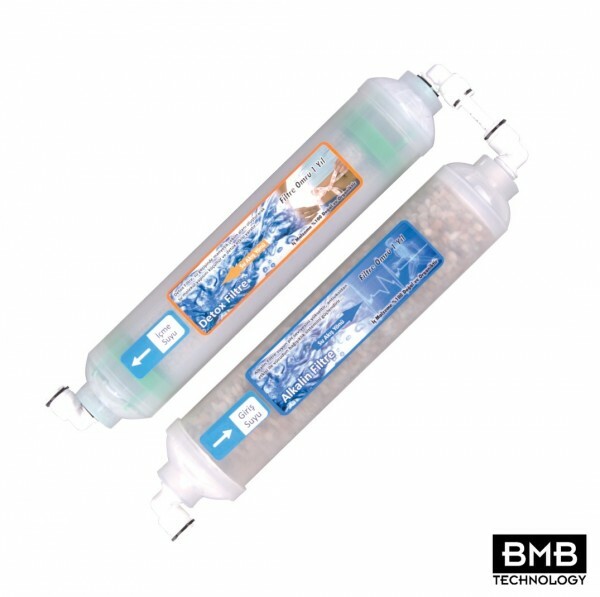 The purpose of the alkaline filter is to add a level of ionizing minerals (to increase TDS levels) to replace to those lost in filtration and to micro cluster the water to increase cell hydration. 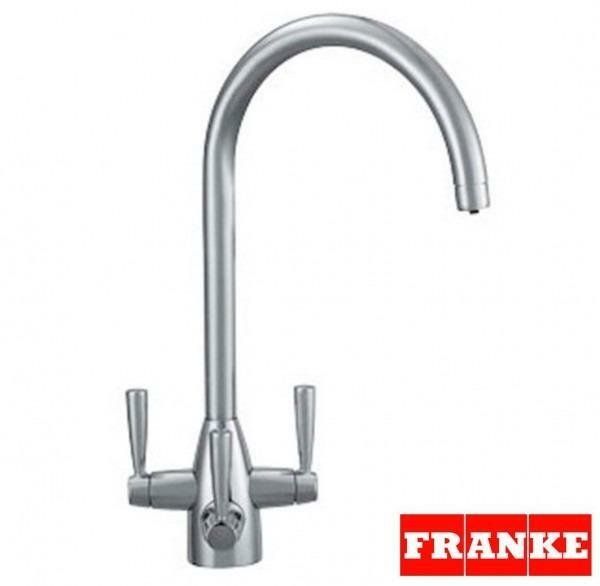 If maintaining a high alkaline pH level is of high importance, it is suggested to make frequent pH tests of the purified water which may result more frequent changes of the alkaline filter. 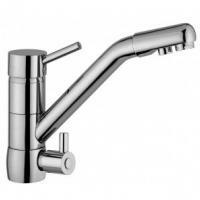 This system can easily be installed by a handy person or plumber and the kit contains all essential parts and some of your own DIY tools are required. 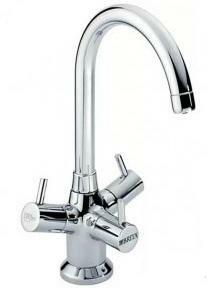 Before ordering please ensure your incoming water pressure exceeds 1.8 bar. Please note the system and tank dimensions below. RO system and tank can be sited up to 5-10 metres away if necessary from the tap. 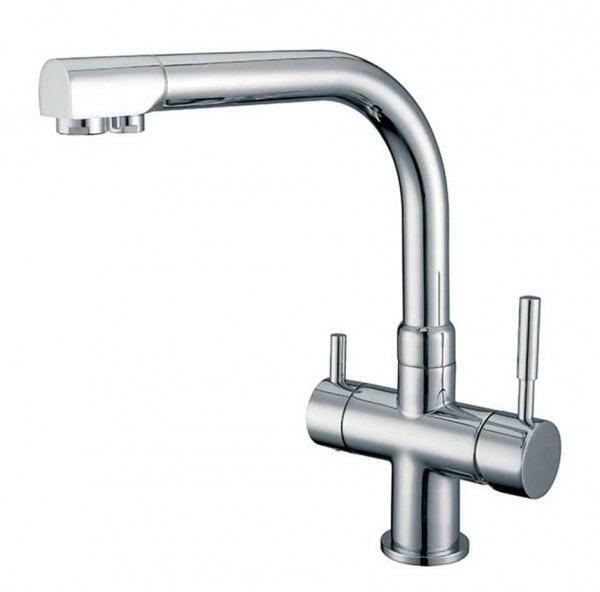 The system fits neatly inside a standard 500-600mm kitchen cupboard but if you other appliances such as waste disposal, please check to see if it will fit first. 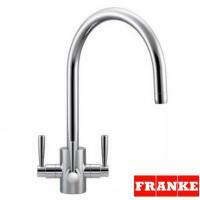 Feed Water Pressure 1.8 Bar Min. - 6 Bar Max. 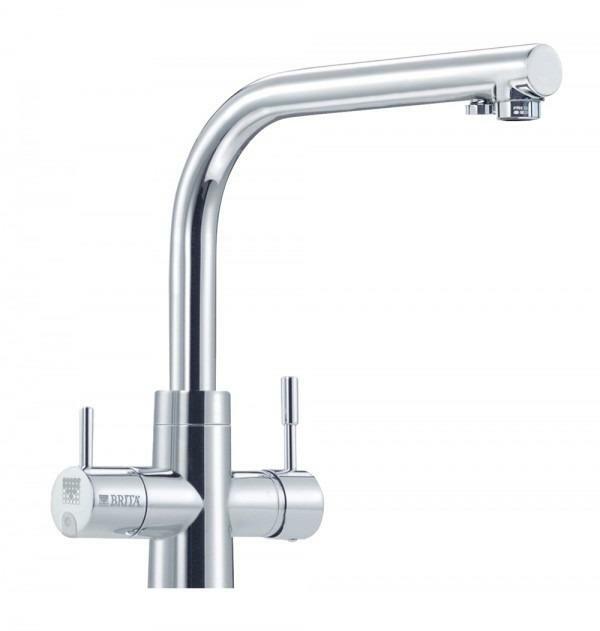 If the pressure exceeds 6 bar, a pressure regulator can be installed at the system inlet. This part is not supplied with the kit. 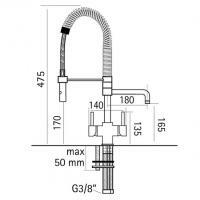 Pressure reducing valves are widely available at Plumbers merchants and online. 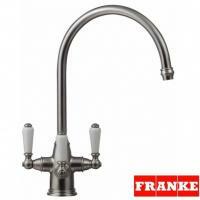 The system will produce approximately 10 litres per hour at 3 bar incoming pressure. 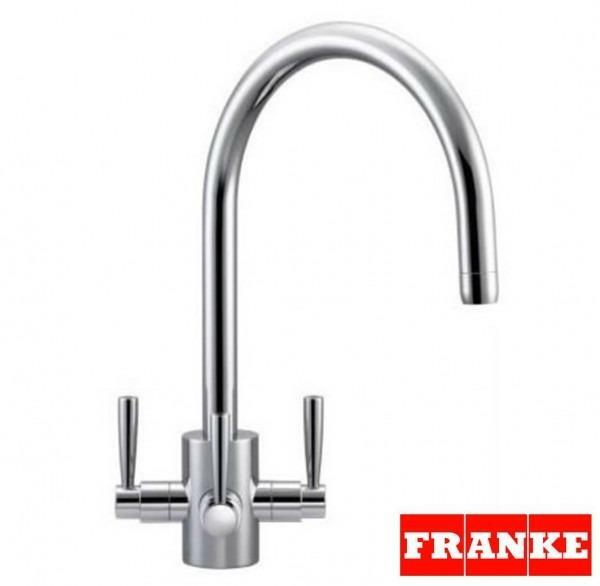 Experience the pleasure of clean, high quality drinking water every time you turn on the faucet and crystal clear ice cubes, scum-free tea and coffee. Designed for reliably safer, healthier water. 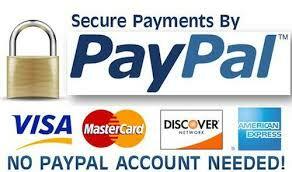 The system uses tried and tested NSF certified components. 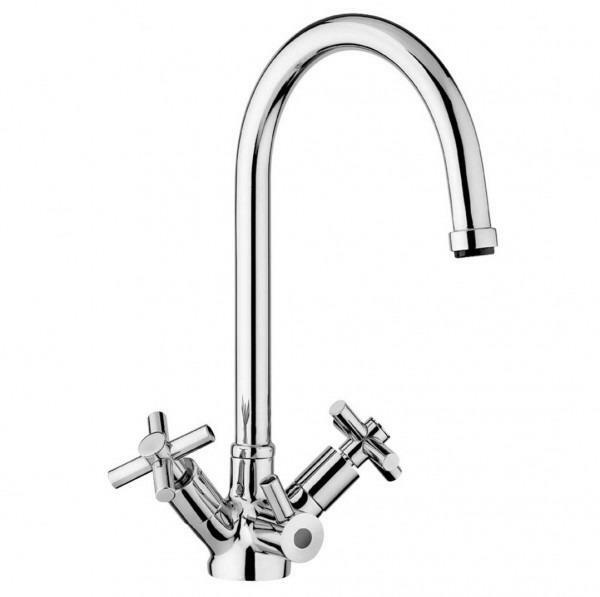 Removes up to 99% of over 1,000 contaminants and is ideal for homes, fitting neatly inside an under sink kitchen cupboard or up to 5/10 metres away with additional tubing if needed. 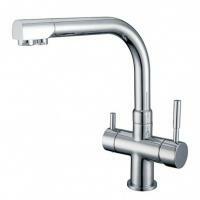 Easy installation and maintenance with Plug & Play parts. Backed by 2-year Osmio Warranty with lifetime support. 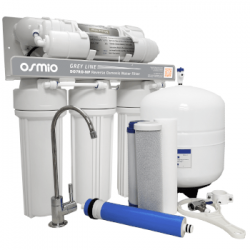 Osmio Grey Line 7 Stage 1 Year Replacement FIlter Bundle Osmio Grey Line 7 Stage 1 Yea..